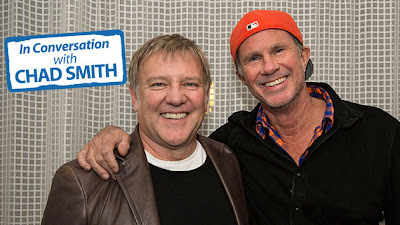 A surprise fourth episode of Rush guitarist Alex Lifeson “In Conversation with Chad Smith,” a new podcast series hosted by the Red Hot Chili Peppers/Chickenfoot drummer, has been released. 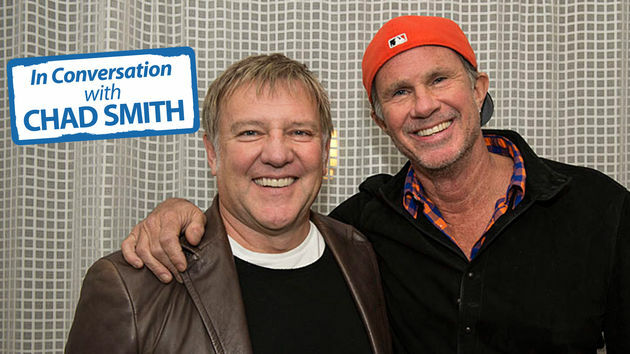 The Lifeson appearance was originally billed as a 3-parter to launch Smith’s new venture, but the producers have issued a surprise fourth installment. This time out, Chad and Alex talk about Alex' grandkids, the Rock Hall, Geddy Lee's baseball obsession, golfing, Alex's psoriatic arthritis, Nick Raskulinecz and more. Check out the streaming chat here. Hear the first 2 parts in the Lifeson series here and part 3 here. Rush completed a UK tour last week and are now playing across Europe as part of their “Clockwork Angels” tour.